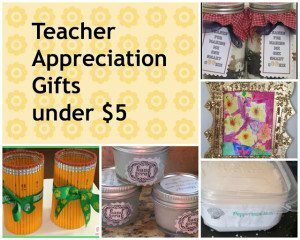 Teacher appreciation is coming up at the beginning of May. 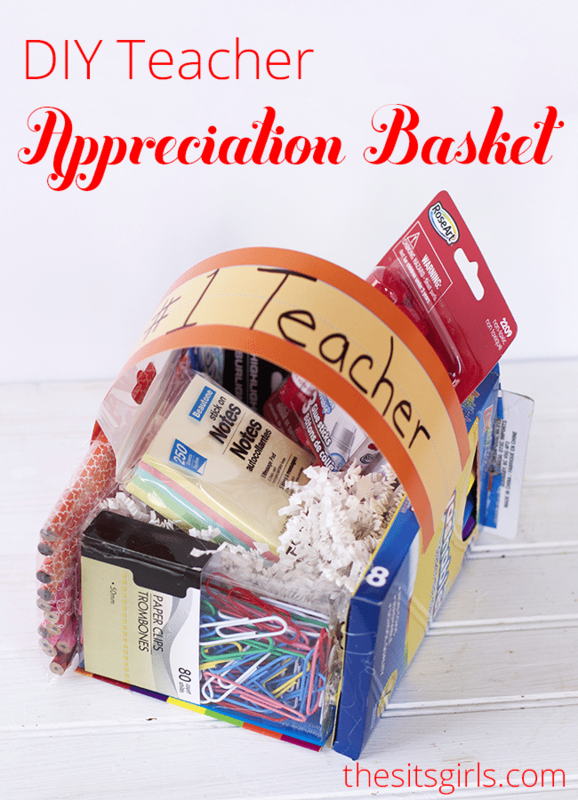 This year Teacher Appreciation Day is Tuesday, May 8th. 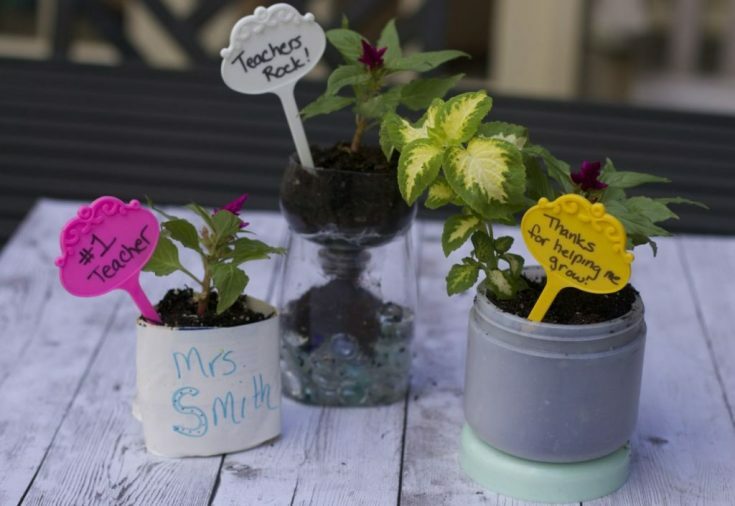 Over the past years of blogging, I have crafted many DIY teacher appreciation gifts. 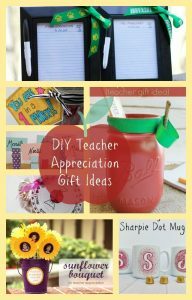 Check out these 12 Easy Homemade Teacher Appreciation Gift Ideas under $10 and most are $5 or less. 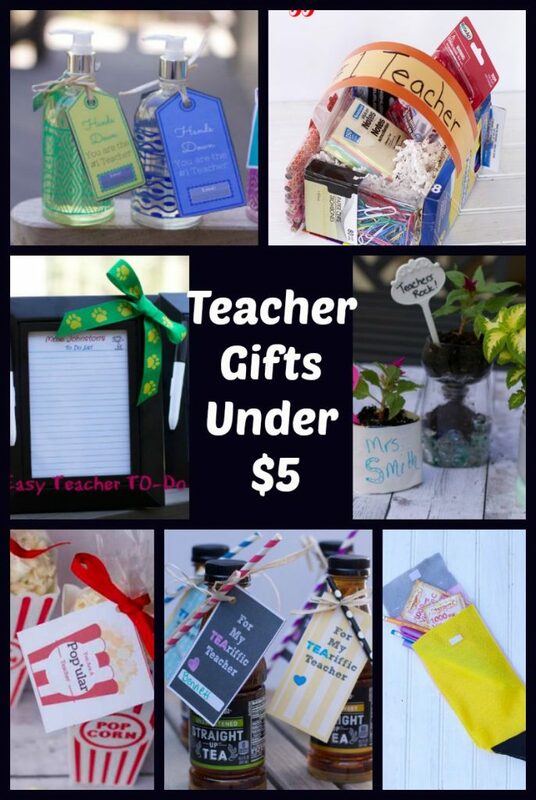 Here are 10 of our favorite Teacher Appreciation Gifts you can make for under $5 Each. Many are even cheaper than that! 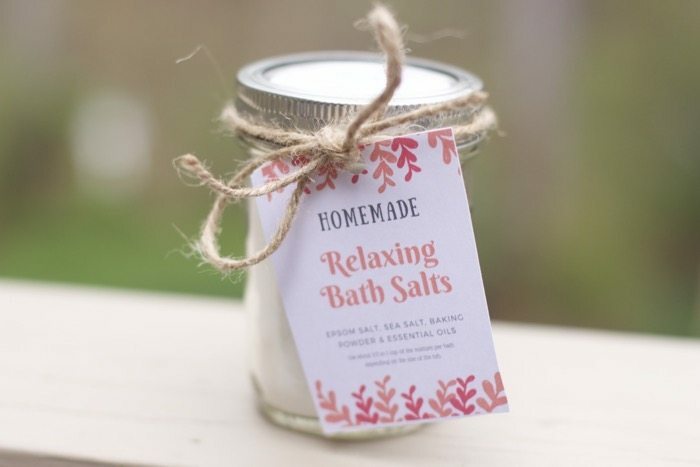 Essential Oils are all the rage and these bath salts are not only inexpensive to make, they take just minutes. The kids can easily help too. Teachers wash their hands a lot. 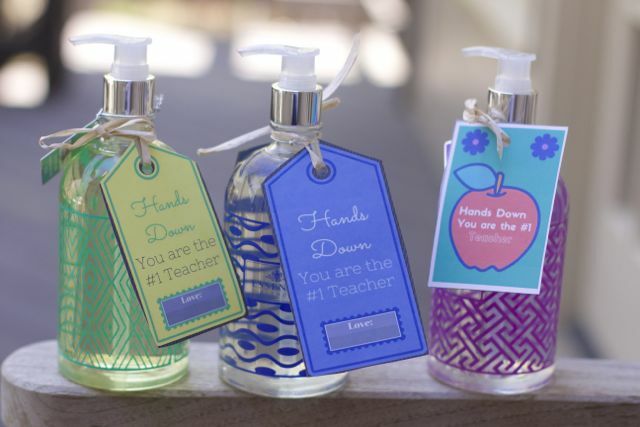 Buy them some nice scented soaps and attach this free printable. 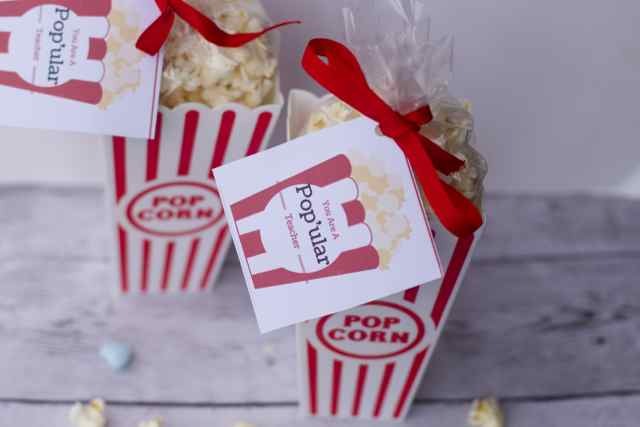 Whether you have a male or female teacher, they will love this popcorn themed gifts. 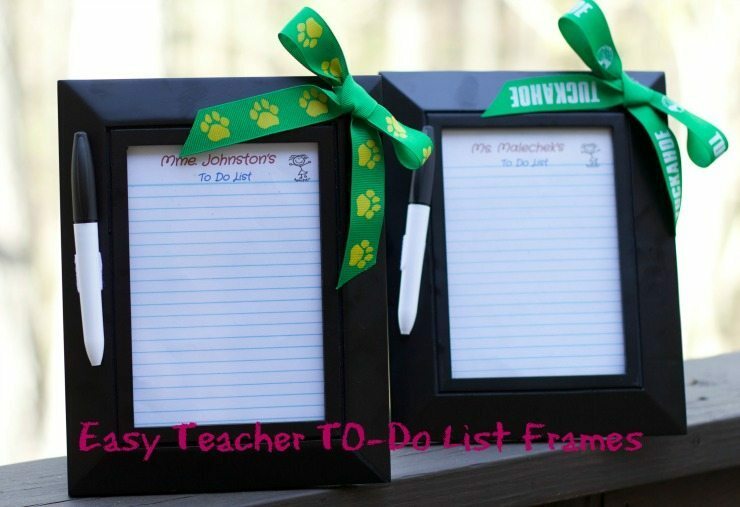 Gifts for teachers dont have to be expensive and these are simple and fun. For all the talking teachers do in the classroom. 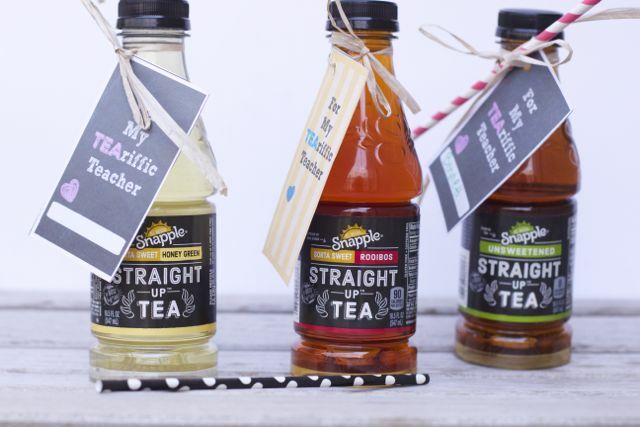 Treat them with these bottled Iced Tea gift idea. 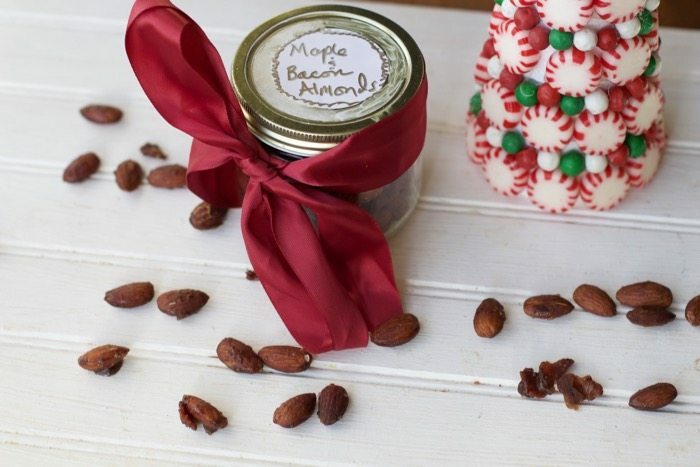 Teachers are not the only ones who will beg you for this recipe for glazed almonds. Make a double batch for yourself. 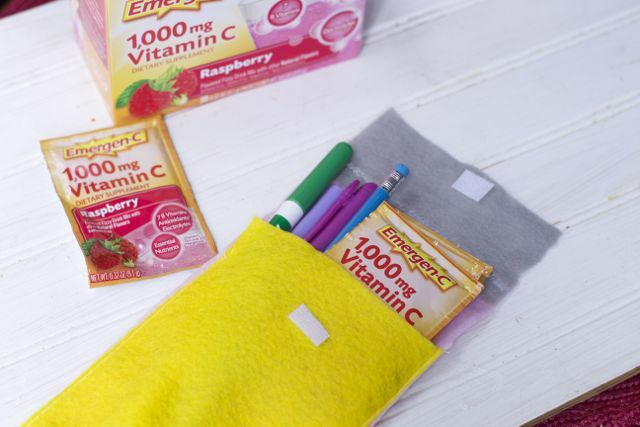 Make these super cute gift baskets made out of school supplies. A fun way to give an ordinary but necessary gift. 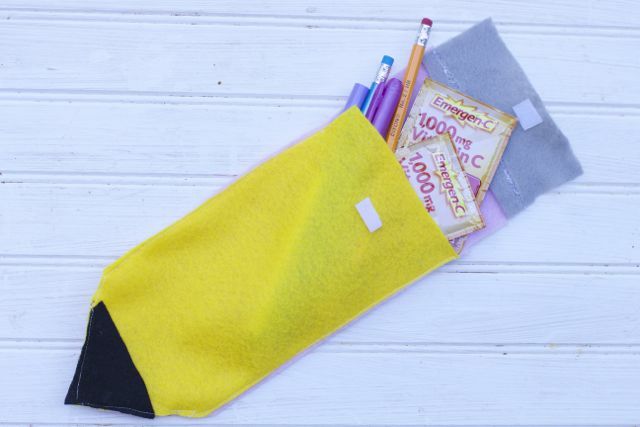 If you are feeling especially crafty, make a few of these adorable homemade pencil pouches and fill them with supplies and gift cards. Teachers are always writing notes. Celebrate earth day too with these reusable note frames. 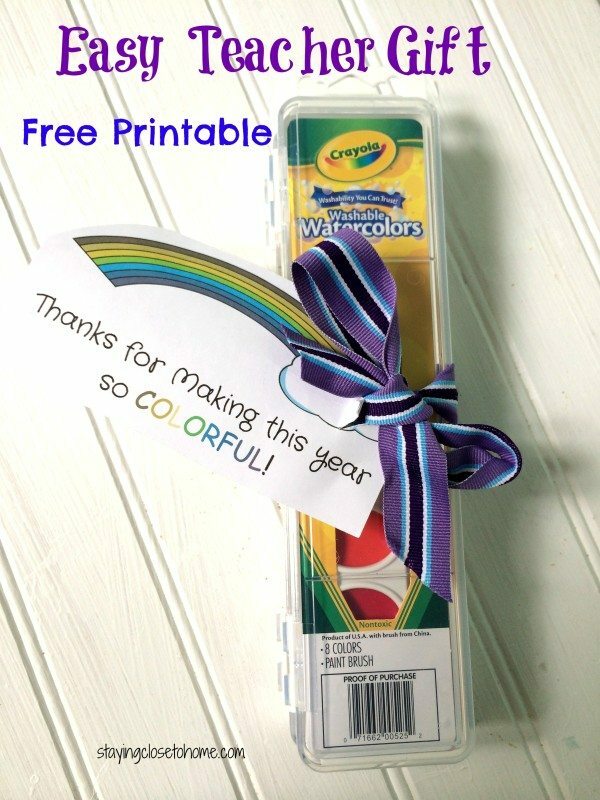 Great free printable for any colorful gift you plan on giving your teachers this May. Spring is the perfect time to give small plants. Buy a cell pack of plants and then replant them in items you already have in your recycling bins. I want one of these for my desks. This printable is free and all you need are the post it notes and frame. 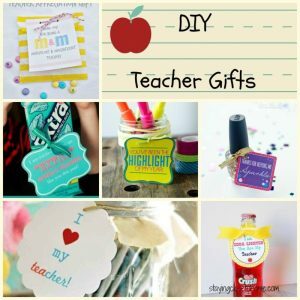 More posts filled with DIY Teacher Gift Ideas: Click on photos to get to Gift Round Up Post. PRO TIP: For Christmas or End of School year gifts, consider getting the room parent to send out an email and get everyone to contribute to a larger gift card. This is much better than spending money on a #1 Teacher Ornament. Trust me, the teachers have enough of these. 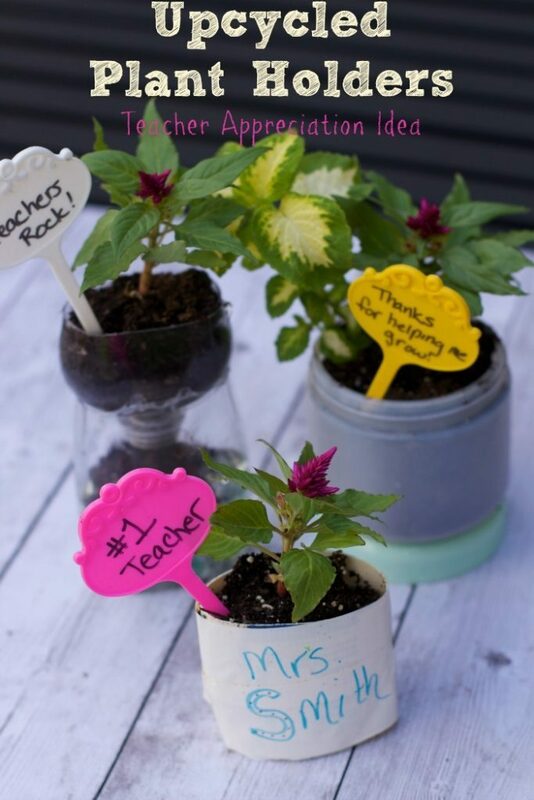 These are great teacher’s gifts.